Financial commentators use metaphors* all the time. Derivatives are “financial weapons of mass destruction,” for example. Actually, people use metaphors all the time. But what is the substantive content of a metaphor? More technically, if A is (like) B, then why should we believe that A has some attribute that B has? “The advance of civilisation has brought immense new complexity to the devices we use every day. A century ago, homes were little more than roofs, walls and floors. Now they have a variety of complex electronic devices, including automatic on-off lighting, communications and data processing devices. People do not need to understand the complexity of these devices, which have been engineered to be simple to operate. 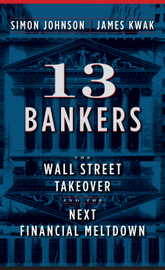 “Financial markets have in some ways shared in this growth in complexity, with electronic databases and trading systems. But the actual financial products have not advanced as much. We are still mostly investing in plain vanilla products such as shares in corporations or ordinary nominal bonds, products that have not changed fundamentally in centuries. The point of this metaphor is to convince you that, since houses and consumer devices like laptops have become immensely more complex in the last hundred years, financial products should as well – and the fact that they have not is a problem. This is a perfect example of a misleading metaphor. No one today would want to live in a house from 100 years ago (not the house itself, but all the stuff in it, is what Shiller means), nor do we want to give up our laptops. Because most of our financial products were around 100 years ago, we must be missing out on all sorts of potential improvements. But nowhere does Shiller show – or even argue – that there is some underlying feature of financial products that makes them like technological products in this respect. In technology, for example, we have Moore’s Law – the observation that every 18 months (originally two years) the achievable density of transistors doubles – which implies that products can get smaller and cheaper. Shiller makes no equivalent claim for financial products. The point of our Democracy article was to argue that there is in fact no equivalent for financial products, because financial innovation is fundamentally different from technological innovation. You may not agree with us, but at least we argued the case, instead of relying on a metaphor. I think metaphors are a great way to illustrate abstract concepts, especially to beginner audiences. I use them all the time. But their value is solely illustrative; they don’t ever prove a point. If you say A is like B, and you want to show that A has some attribute that B also has, you have to prove it without reference to B. A good example is Paddy Hirsch’s video comparing a CDO to a pyramid of champagne glasses; there, he walks you through why a CDO has the properties of a pyramid of champagne glasses, instead of simply asserting it. “The problem is that financial breakdowns come with low frequency. Since flaws in the financial system may appear decades apart, it is hard to figure out how some new financial device will behave. Moreover, because of the low frequency of crises, people who use financial instruments often have little or no personal experience with the crises and so trust is harder to establish. “When people invest for their children’s education or their retirement, they are concerned about risks that will not become visible for years. They may not be able to rebound from mistaken purchases of faulty financial devices and they may suffer if circumstances develop that create risks that could have been protected against. Note the rhetorical flow. Shiller has deflected our attention away from the real question – is financial “progress” good? He has taken care of that with his metaphor, and now he can deal with a different question – why we haven’t had as much financial progress as he would like. Then he goes from there to argue (this time it is an argument) that people are overly cautious about financial products – something that would come as a surprise to the millions of people facing foreclosure because they didn’t understand the mortgages they purchased. This is another clever device: use a good example (I think Shiller may be right about excess conservatism in long-term investments) to try to prove a broader point (but he is wrong about other financial products like Option ARM mortgages or reverse convertibles). These clever rhetorical moves take him to his conclusion: regulation should promote the use of sophisticated products. For the sake of argument, I am willing to concede that these are useful innovations that would make people better off. But you cannot use three useful innovations to argue that, in general, financial innovation should be promoted. You have to do one of two things. You could make a conceptual argument that shows that, in general, financial innovation is a on balance good thing (benefits exceed costs). Or you could make a list of all the financial innovations that have taken place in some domain in some period of time and show, empirically, that their actual benefits exceed their actual costs. But Shiller does neither; he uses a metaphor instead of a general argument, and he cherry-picks his examples without mentioning those toxic innovations that exist solely for investment banks to separate money from their “high net worth” clients. I’m disappointed, because Shiller is (a) brilliant, (b) right about a lot of things, and (c) clearly not in the head-in-the-sands, efficient market, financial-markets-are-always-right camp (much of his career has been spent debunking that nonsense). I’m still looking for a defense of financial innovation that rises to this basic standard. * Warning for sticklers: I’m going to use “metaphor” and “simile” interchangeably. If that bothers you, stop reading now. Aside: Thanks for the link to the Hirsch video. :) It reinforces what I have always suspected. We did not get into this mess without a whole lot of fraud. Do you have any actual evidence that “millions of people … didn’t understand the mortgages they purchased”? But I have no evidence for my suspicion, either. I think another reason people assert that financial innovation is a positive thing is because they seem to confuse technological innovation applied to the financial industry with the types of “innovation” such as derivatives. When talking about financial innovation, people always bring up two examples: the credit card and the ATM. But neither of these was a “financial” innovation, it was a technological one. The ATM was merely a robotic bank teller and the credit card a portable short-term loan, both made possible by advances in telecommunications technology. We are told, particularly in the U. S., that innovation is good. So it is, as a rule, but that does not mean that innovations are good. Most of them are not. To use an evolutionary analogy, innovations are the analog of mutations. Most mutations are detrimental, but some are beneficial, improving the fitness of the organism. These mutations survive and spread. Likewise, economic innovations compete in the marketplace for survival. Some succeed, many fail. The fact that human beings consciously produce innovations means that they have a better chance of survival than random mutations, but they still face the struggle to survive. What does it mean for an innovation to be fit? Well, its environment is human beings. It competes for the money of humans. In general, then, it must fulfill some human need or desire. But a successful innovation need not benefit its environment. The predator does not benefit its prey, not the parasite its host. To succeed, the predator or parasite cannot do too much damage, however. Financial dealings with consumers often have a predatory aspect, taking advantage of their ignorance, lack of sophistication, and economic weakness. The term, “loan shark”, reveals the potential for predation. You can argue that loan sharks would not exist if there were no demand for them. They certainly provide a service. However, in our society we deem that they do more harm than good. Survival in the marketplace does not mean benefiting society, even if that is normally the case. If consumer financial instruments have a predatory aspect, what about those aimed at sophisticated investors? As recent history has shown, many of them got taken, too. And the complexity of the instruments played no small part in that. People bought what they did not understand. I do not understand my telephone. However, if it fails, I can get another for a reasonable amount of money. I know the risks involved. But if you do not understand a financial instrument, you do not understand its risks. That fact argues against complexity in those instruments. OK, maybe my language (“didn’t understand”) went too far. But the basic point still stands: this is an area where people exercised insufficient conservatism, not excess conservatism. Shiller tries to argue that people exercise excess conservatism in general; I think that’s only true in some categories. What’s the argument behind this? I always thought the people close to retirement who lost their shirts in the dotcom bubble were greedy fools. Same thing for this time around. Us young’ns have decades to make up our losses. Right?? Thanks for drawing attention to the misuse of metaphors. My least favorite is the constant comparison of the economy to a “sick patient” in need of emergency care. Somehow I am supposed to imagine selfless Fed officials gowned and gloved staring anxiously at the monitors in the ICU diligently applying just the right dose of stimulants to bring our patient back to life. Kind of like how comparing financial “products” to pharmaceutical manufacturing allows one to omit conveniently a discussion of how people can make consciously irresponsible decisions? Shiller’s argument is really disposable. Some financial “innovations” make no economic sense at all. (Nothing says progress like a NINJA loan.) Some are good for some market participants and not for others (like swaps). The problem is, no one has improved on water. I mean, it’s just H2O. No extra hydrogen, no extra oxygen, no nitrogen, no carbon. We ought to fix that. Our bodies need nitrogen and carbon. We should aim to create a water that contains these vital nutrients. And I’m not even going to bring up the latest revelations about zinc! Frankly it’s a crime how little innovation we’ve had in water! We should be ashamed of ourselves. From what I hear Chinese school children are already learning how to improve their water at 6 years old, and our children are just being left behind! It really is a national disgrace. I’m a sucker for a good bit of satire/irony. Thank you. I have a theory that people like Warren Buffet, even though definitely more clever than the average person, are not as superbly clever as we think they are. They just follow a simple rule that if they don’t understand something (a stock investment, a mortgage contract, a credit card application) they make DAMN sure they know what it is and what the ramifications are BEFORE they do it. Many people are sold a “bill of goods” in the form of a cornerstone of the American dream: Home ownership. You look at what happened to the housing market in Chicago and Cleveland. You’re telling me that the people in those districts (those 2 cities are good examples, I’m sure there are others) had any thought at all of becoming rich on real estate??? I doubt they thought they would ever own one rental property, and if they had, they would have shaken their heads in disbelief asking which episode of “Beverly Hillbillies” were they dreaming. I forgot to add the link. This is a Washington Post article written by Binyamin Appelbaum which discusses some things about how mortgages were given and some specifics on the city of Chicago. Do you care to enlighten us on all the great things swaps have added to our society??? Please give us the long laundry list if you would. Thanks for that link, Ted – what an appalling story. Seems like lobbying for a consumer financial protection agency is a waste of energy since we have a government devoted to ignoring the interests of consumers. So in Shiller’s essay, he notes that we still have access to plain vanilla products and no one wants to live in a log cabin any more and we’re all happy with our computers and don’t want to go backwards. And he notes that there is great reward to go along with that innovation that we’d miss if we quashed it, thanks to this rare crisis. “But in using housing as a big savings vehicle, people have built homes that are larger than needed and hard to maintain. This extra housing would be expected to have a negative return in the form of depreciation. WHO SLICED AND DICED MORTGAGES and then sold them as investment vehicles? Consumers? No, the financial sector. What Shiller fails to mention is that the US Treasury Secretary told congress last fall that if the financial sector did not get a nearly trillion dollar bailout, the economy (not just the sector) would collapse. Crises of this nature may be rare, but this one remains a doozy. So we can point fingers at the failure of the regulators and at the mortgage interest deduction and at the Kenosha County school board who lost all that money in a CDO investment and at predatory borrowers and at stupid consumers who ignorantly signed up for loans they didn’t understand. But at the end of the day, highly compensated bankers, educated at the finest institutions in the world, sat atop a toxic asset dump of their own making – and it was so toxic that it threatened to take down the entire economy of the United States. Either they knowingly built up such a toxic mountain, or along the march to catastrophe, they’d developed “innovative” financial tools that masked the risk so cleverly that the best and brightest didn’t have a clue as to what was on their books. So either those bankers are criminals and need to visit jail for a while – or the financial innovation we’ve seen since Reagan is the wrong kind of innovation. If the people who created the innovation don’t understand it, how can a regulator ever figure it out? OK, first to get my annoying side out in the open – it’s a simile. That aside, this “metaphor” has one value that I can think of. It leads us (me) to ask, how might financial products be improved, along the lines of modern residences? In the old days, you had to go outside to fetch water, and to pass water. We’ve made those things more convenient through a massive infrastructure, often maintained through public enterprises. We once had to travel to the local telephone exchange to make a call, but now have phones built into our homes, and our pockets. There are costs for these things, and in both cases, sometimes the costs go up and there is nothing we can do about it. In the case of the private utility, the beneficiary of the cost is sometimes hidden in surcharges and add-on fees. But still, the cost of having these conveniences has fallen precipitously. Well, there are ATMs. There is electronic banking. But it comes to mind that opaque financial contracts are, in their own way, inconvenient. The are inconvenient in that financial instruments, unlike plumbing, are contracts. To “use” a financial instrument in the same way you uses a kitchen sink, you need to understand the implications of the contract. A credit card is convenient, but no more convenient than it was 30 years ago. The additional convenience comes from shopping on line – not from the credit contract. You make a valid point. That is to say it’s debatable. But I have to say I strongly disagree with you. I’m a huge fan of this blog. I’ve learned so much from it. But please don’t confuse metaphor and simile! An expression “x is like a y” is a simile. So “Love is like war” is a simile. “Life is like a game” is a simile. By contrast “Love is a war” and “Life is a game” are metaphors. Despite the apparent similarity, there is a difference- asserting similarity is not the same as asserting identity. And for an alternative perspective on metaphor, there is some wonderful linguistics, psychology and philosophy of mind on the topic of metaphor. I believe one recent book on the topic is called ‘Metaphor and Mind’, although I don’t now recall perfectly. But the gist of the research is that metaphor is constitutive of thought. The line of thinking is, roughly, that there are many things we have very little concept of except through metaphor. For example, we think time is a physical process, and understanding is like reaching out and grasping something. Neither is (so the thinking goes), but these metaphors get us about as close as we can get to them. BTW… noticed your footnote- “going to use ‘metaphor’ and ‘simile’ interchangeably” from now on, etc. Why? Why do you not value correct use of terms? I like to think that academics on linguistics blogs would be sufficiently careful in their argumentation to, say, distinguish “monetary policy” from “fiscal policy”. For one, swaps are pretty critical in hedging many interest rate products as well as a Bank’s mortgage portfolio. There aren’t really any products except swaps or swaptions that can match the duration of mortgages in aggregate. This story makes me think about the amish mentality and attitutes towards technology. http://www.kk.org/thetechnium/archives/2009/02/amish_hackers_a.php is an interesting exploration of it. They are not anti-technology, per-se, but rather want technology to be proven useful before it is adopted by the wider community. I think something like this makes a lot of sense (not that I have a clue as to how to implement it) for financial “innovation.” In many cases, the risks of catastropgic failure are just too high and our financial system as a whole has shown that– new products that aren’t necessarily well understood have the potential to wreak havoc on the economy at large. I particularly like Min’s allusion to mutations in this context. Most of what has been termed “financial innovation” over the last several years has actually been highly complex financial “mutations” which permitted select small groups of market mavens to extract enormous monetary profits for short periods of time until others were able to determine how they were managing what was usually a financial arbitrage and copied their practice – bringing them all down to minimal returns. This was repeated over and over again with different small groups reaping enormous, but temporary, financial benefits. The problem became critical when the overload of mathematical constructs required more and greater securitization of assets to continue functioning and maintaining the illusion of systemic solvency. The masters of finance were simply front-loading all of the long-term profits in the system into their pockets and back-loading all of the risk into the future. The future is now and our masters are once again working to re-bubbleize the economy since this is the only game they know. Managing interest rate risk on large debt-financed construction programs is another example. Both Min and Sam K make excellent points that Shiller (and perhaps James even) overlooks: Not all innovations are positive and even technological innovations can have drawbacks. Nucelar weapons are an obvious example. Even our personal technological devices (iPods, computers, etc.) come with some drawbacks–they must be cared for, fixed, etc. As consumers, we need to critically examine all innovations to ensure that we will be benefitted. Progress for the sake of progress ain’t always so. I like Shiller. But his comparison of financial innovation to electronics innovation is silly. Financial products are more accurately compared to Agricultural products. Both are mature ubiquitous tradeables that plateaued with respect to innovative products centuries ago. There have been great advances in marketing, transporting and ag production efficiency over the past 100 years, but the ag products are pretty much unchanged. There have been great advances in marketing, trading, and efficiency with respect to financial products in the past 100 years, but the actual products are pretty much the same. In New Zealand we add Fluoride to our water! And I think that the process of getting water (out of salt water / sewerage …) has improved quite a lot over time. Of course thats offset by all the farming and factory runoff that gets in our streams and rivers every day! That’s like asking if the long con is good! Humbly, both Shiller’s article and the blog entry miss the point. I would agree with Shiller that economic change -specialisation, the division of labour and diversity of preferences- moves to greater complexity. This is true of all human artefacts – for instance the emergence of a new language -from pidgin to creole- is characterised by a movement from clarity to complexity – human interaction would fall apart if it relied on blunt instructions rather than on a panoply of qualifications and conditions. Finance is no different – it has to respond to new shocks, diversify new types of risk and match new classes of savers and borrowers. Hardly surprising that finance will become complex as the activities to which it responds and reflects also become more complex. The irony is that rampant quantification and modelling which financial innovation has embraced with gusto in the last few decades is uniquely ill-equipped to deal with these realities. At its most unrestrained, financial innovation denies complexity. Its real failure is that it is not complex enough. If our analytical tools cannot keep up, we should trim our sails. Here Shiller’s faith in more information, more complete databases and more muscular computing power sometimes feels like the the toils of an intrepid explorer who refuses to give up the ghost. All innovation -technological or financial- is liable to failure – why would things be any different when people are stepping into dark. No activity is exempt. The difference is that the consequences of failure are extraordinarily high in some areas -nuclear power, aircraft design, financial engineering to name a few (check out the literature on high-reliability organisations). They cannot be tamed by trial and error learning when the potential for catastrophic losses means that the first error will also be the last trial. Denying the similarities between technological and financial innovation analytically (no doubt unintentionally) cuts off the one of the great routes that has contributed to progress and confidence in these areas – regulation. Why shouldn’t new financial instruments be subject to an ex ante approval process like the FDA does for new drugs? Nobody would tolerate the banking equivalent of holding more capital in those sectors. English Nazi’s are dull. You couldn’t resist could you? Like the naughty kid that was told not to touch the cake (analogy) James was right to give the heads-up. Please feel free to change the dial at any time. Unless you have actually paid or financially contributed to this blog. To invoke evolution again, the reason that evolution appears to move towards greater complexity is that it started with simplicity. In reality evolution also has moves towards simplicity. (BTW, this is the answer to the “intelligent design” argument from “irreducible complexity”. First there was an increase in complexity, and then a reduction in complexity to a point where further reduction would destroy the new functionality.) We see the same in language evolution. English has lost the inflections that its cousin, German, maintains. And we see it in finance. Puts and calls are simplifications of stocks. Their simplicity allows them to be used to build complex combinations that would be impossible with stocks. I had planned to ask Shiller a question prompted by a lengthy article in the Yale Alumni magazine about his latest works. My inquiry dealt with “where were you” when the Yale Fund managers managed to lose several billion dollars of their investments for the University? Your observations about his using metaphors struck home as the Yale Fund managers are using countless examples of past circumstances which tend to detract from reality. Maybe all of them attend the same Shakespeare lectures!! Shiller has a dog in this fight. He has long advocated the use of new hedges by the general public, and he has generated a lot of ideas for those hedges. Unfortunately, many of them simply transfer risk to taxpayers, because no private party is strong enough to pay out on a large and broad and prolonged turn in the markets. I think I agree with James, although some of Shiller’s ideas are interesting, and perhaps a few could be sponsored. Actually, James, the way I look at it, taking the long view, if there is risk inherent in investment, then the danger of innovation in vehicles intended for investment is that the risk will suffer from lack of transparency. It is fundamental to investing that we can look at any simple stock or bond and make certain estimates of its likelihood of earning money for us. Mutual fund were a useful innovation, such that they pooled the risk in certain areas, and were run by experts who made money based upon track records of earning a fairly consistent return, and, gained followers (investors) based on a track record. When it comes to the murkier kinds of investment vehicles, it seems more likely that track records are set aside in favor of “sure things” that the market promises from mathematical formulae designed to calculate real world outcomes in very restricted areas: read: more risky. The upside may be somewhat spectacular (like betting long shots at the track), but the downside (for those who put too much money in) can be catastrophic, that is, except for those high bonus salesmen who pander these absurd products. Like you said, they were designed to hide problems and so extract money from anyone willing to participate. Innovation, in and of itself, is not good or bad, but just one form of inevitable change. Each innovation must be analyzed and quantified by those who have the technical expertise to do so, and since many of the new forms of stock and bond derivatives were understood by almost no one (in the most technical way), insofar as their long term viability, I would argue that the metaphor completely failed. And that has been proven. Innovation will always take place, but it’s kind of like the rigorous clinical trials that the FDA conducts for new drugs, we need to test all innovations rigorously, and not rely upon anyone who stands to profit from them to tell us their value. You can start here with the ratings agencies. Point made. First off, I usually find similes and/or metaphors a waste of time. You spend more time arguing about some silly simile than you do about the issue. And in that vein, one thing that Shiller misses in his simile comparing homes of 100 years ago to current homes, is that all those wonderful inovations, (electronics, plumbing, etc.) have regulations defining how they should be used. There are minimum standards that protect the average citizen from unsafe “innovations” in the home. We know that if we buy some complex piece of electronics that does wonderful thing for our house, as long as it has the little UL Sticker, it has been developed with certain safety standards in mind and has been tested to verify that it complies with those standards. What’s the equivalent of the UL sticker in the financial realm? Maybe Shiller’s simile is apt after all. Here’s a metaphor or analogy — football betting. In the old days (when we said “in the old days” rather than “back in the day”), you could bet on the outcome of a football game. Most bookies offered a point spread and all bets were 11-10; some also offered a money line — no points but different odds. Then bookies added an under/over line. Now you can bet on all kinds of combinations of points and odds, you can buy points, you can bet on the score at the end of each quarter. On big games, there are dozens of “prop bets” — who will score first, will a particular player score a touchdown, etc. Because bookies still offer these bets, we have to assume that they have been a boon to bookies and bettors. But it would be difficult to argue that these complicated financial instruments have improved the game of football. This is starting to sound like the economic analogue of the generic skeptic argument in philosophy. I could very easily extend your argument to “why do we need stocks?” or “hell, why do we need money at all?” without much of a stretch. I don’t really know when we turned against lending and, of all things, construction. Sure, some things happen in excess, but I just don’t get where the (fear driven?) sentiment has come from. Mortgages have existed for quite some time, and if you are going to argue against the value of vanilla fixed rate mortgage loans, I would certainly love to hear your out, but please, stop taking whatever buzzwords are mentioned in at least one article in the media and concluding that anything related to that buzzword is bad. For example, the authors of this blog have mentioned that re-industrialization is one way to get out of the recession. Well, debt financed construction is one of the few ways to do that. Construction is not necessarily housing construction. In many cases, to get off the ground, large businesses need to buy property. This generally requires a mortgage. Any bank issuing the loan and deciding to keep it on its portfolio (or anyone buying the debt downstream) will need to hedge the interest rate risk, assuming they are making a bet on something else (which is generally the case). The point is that there are plenty of examples that have nothing to do with the current housing crisis that pretty quickly require instruments like swaps for banks to be willing to lend in the first place. Sam K. : “Any bank issuing the loan and deciding to keep it on its portfolio (or anyone buying the debt downstream) will need to hedge the interest rate risk, assuming they are making a bet on something else (which is generally the case). Stagflation was brutal for the S&Ls, because of interest rate risk. They may have made it less likely that who wins the game is fixed, but they may have made other forms of fixing more likely, and harder to detect. Perhaps they have also reduced the rate of interest by loan sharks. — Nah! Min. I don’t know about loan sharks. But the proliferation of online bookies is classical economics — lower prices (vig), more products. More information — some sites will tell you the proportion of money coming in on each side. Bettors can shop for the best lines and odds. It’s easier to find middles (arbitrage), especially when lines are moving. Used to be, most bookies would take bets only on Sunday starting at noon. Now you can bet any time. But what goes on between bookies and bettors has no effect on football games. And I get the impression that the same is true of the buying and selling of these complicated financial instruments and the real world things they are based on. Where bookmaking is illegal, bookmaking and loansharking go hand in hand. Bookmakers make loans anyway by carrying over gambling debts, they have the collection apparatus, they have money that they cannot invest openly. So I thought that if the bookmakers make more money, they have more money to lend, and that that might lower rates. But then I thought that they have too much market power, so probably not. It’s so wonderful how you fell into the same trap the author was talking about. Bookies carry no risk due to no-arbitrage pricing, i.e. the final payouts depend on how much each type of outcome was bet on. this is very different from banks or insurance companies or any other TBTF institution– the instruments are there to manage risk, whereas for the bookies, the new instruments are essentially riskless profits. I don’t know about loansharking, but I would assume that rates depend on competition. My impression was that rates are fairly standard, depending on the amount and duration. I do know that bookmaking, even before the Internet, was, in most cities, competitive rather than controlled by a monopolistic “mob.” In one instance, some mobbed up books tried to raise the vig from 11-10 to 6-5, but they couldn’t. “But what goes on between bookies and bettors has no effect on football games. I love that we’re almost talking about the real drivers of economies now. Almost, because what goes on between bookies and bettors in fact often does have an effect on the game. The most successful bettors (investors) you will find, are the ones that know how to minimize the risk (or eliminate it). In Shiller’s 1998 book Macro Markets, there’s a section (I don’t know the chapter sorry!) where he discusses farmers’ futures markets. According to the book, most of the farmers’ activity in the futures markets actually increases their exposures to price movements (buying futures rather than selling). So, such a financial innovation which should be used to protect farmers from price movements, the farmers are using to further gamble. Such is also the problem with products like annuities, which are really pretty easy to administer products, and relatively easy actuarially to manage the risk from the insurers’ standpoint. If the annuities markets were competitive, and there was a lot of demand for these products, then this would probably be quite beneficial for society. But there is not enough demand for annuities to really encourage good competition (probably due to myopia), so annuities are a good innovation that are not doing much good. It’s also important to note that most of the financial innovations that Shiller champions are – although not ‘vanilla’ – relatively easy to understand. Asset and commodity price futures, swaps, annuities, and ‘equity-style’ mortgages where the bank takes on the risk of decreases in value, these are all relatively simple to understand. They also provide benefits which are a bit easier to observe than CDO’s, naked shorts, and interest/principle/equity tranches of mortgage-backed-securities. Is it just me, or is a share in a 2000 corporation different from a share in a 1900 corporation in many of the same ways a 2000 house is different from a 1900 house? Shiller makes it sound like “shares in corporations” is some homogeneous and unchangeable commodity (in fact he outright describes it as a “[product] that [has] not changed fundamentally in centuries”), but nothing could be further from the truth. There has been improvement in the technology of operating corporations, certainly. I don’t see why we should expect, or desire, improvement in the technology of owning them. It’s just more complicated bookmaking that almost everyone except bookies is better off staying out of. Here is another example of the dangers of analogy. Senator Orrin Hatch opposes a public option in health reform. He cites the government “takeover” of the financial system and the auto industry as evidence of government failure in management. IMHO this is ridiculous. This is a false argument. The financial system (BoA, Goldman Sachs, AIG, et al) and auto industry (GM, Chrysler) would be insolvent and bankrupt but for the government bailout. The government did not run these industries into the ground. The private sector did. One difference between mortgages and electronic devices is learning curve. First you buy your device (PC, Crackberry, whatever) and then you learn how to use it. Okay, I’m dating myself talking about learning how to use a PC, but once upon a time, people were actually born not knowing that. With a mortgage, or any legal document, you better learn everything before you sign it. Another difference is scale. If you buy an electronic device, it will not cost you several years worth of gross income. Ignorance of technology can leave you with an expensive paperweight. Losing your home is not only deucedly inconvenient; it can be financially catastrophic. Depending on government bureaucrats to sort it all out will not cut it. Remember the town hall meetings in August? Agree or disagree with them, but the angry voters made it crystal clear that they do not trust government control of health care/insurance. I suspect many people will also refuse to trust bureaucrats to master financial innovations. If Greenspan was surprised by the financial tsunami, how can we depend on bureaucrats to do any better? So what we need are easy-to-understand, adaptable, low-risk ways of buying a house with no hidden side effects, unintended consequences, moral hazard, red tape, or government control. You have dishonestly distorted Shiller’s writing. If you believed what you wrote, you would point to a distortion, and offer evidence that James Kwak knew it was a distortion. Perhaps you mean that Shiller has generally made excellent recommendations; he just made a seriously misleading metaphor in this particular case, and everyone makes mistaked. Currently more than 70% of voters do do trust government to manage healthcare better than private companies, and the majority continues to increase. Presumably, increasing numbers of people have compared the performance of Medicare, Social Security, etc. to the performance of HMOs, insurance companies, banks, and other private financial institutions. Let’s face it: the financial sector worked well from WWII until the massive deregulation (i.e. eliminating laws against fraud) of the last few decades led to our series of ever larger (and predictable and predicted) financial disasters.